Private iDNA and Rapid STD Testing are two respectable STD testing services that we gladly recommend. To help our readers better understand the differences between them and choose the one that is a step ahead of its competitor, we have created this objective Private iDNA VS Rapid STD Testing comparison that clearly shows which one is a slightly better choice. 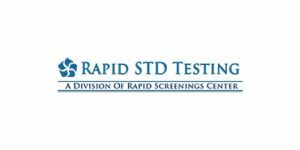 Rapid STD Testing is a division of Rapid Screening Center launched to cover testing for the most common sexually transmitted infections in the US. It collaborates with STDCheck, the best STD testing provider on the market. Learn more about the company and all of its important features in our dedicated in-depth Rapid STD Testing review.